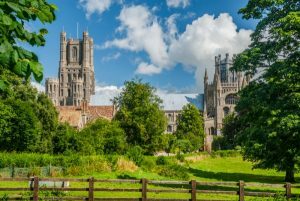 Are you looking for trustable and reliable auditor in Ely to take care of all your accounts related issues? If your answer is yes, then this might interest you. If you are seeking for professional, trustworthy, reliable and cost effective accountants in this area then look no more. Miranda Management and Accountancy Services is an accounting service provider firm based in London. We are one of the most popular accounting firms in London. As a nationalized firm we are taking pride to serve locally. We encourage Small, Medium and Large sized organizations to grow. We understand how tiresome it is to manage all the aspects of a business. Specially bookkeeping, accounting and managing the finances, Tax filing etc… So, now you can take your seat back and release your accounting and financial management headache on us. Our accountants will handle your accounts. And you can rest assure that your finances are in safe hand. What are the services Miranda Management and Accountancy Services Provides? We understand how hectic it is to deal with the entire business requirement. At the same how stressful it can be to maintain payroll details, Tax filing, auditing and so on. It will take all of your time which you can utilize on expanding your business. Miranda Management and Accountancy Services Limited is offering a wide range of accounting services like bookkeeping, auditing, cash management, self assessment, taxation, VAT, HMRC refunds and so on.. Basically we are one stop business solution under one roof. Our accountants will analyze your business needs and give you the out of the box solution so that you can maximize your profits. Basically we are based in London but still we have demands in England. That’s why we are here at Ely to provide you the best accounting solution at quite an affordable rate. So, what are you waiting for? Just give us a call and book your appointment.